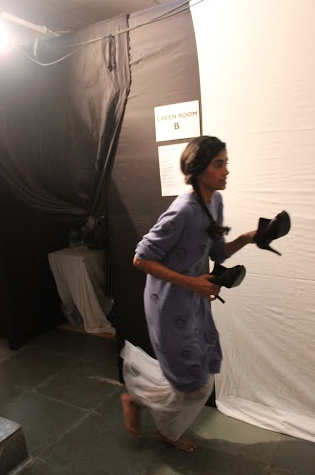 Reverberations of normcore were witnessed in edgy silhouettes and designs at Huemn, Ilk, Quirk Box and Kristy De Cunha. 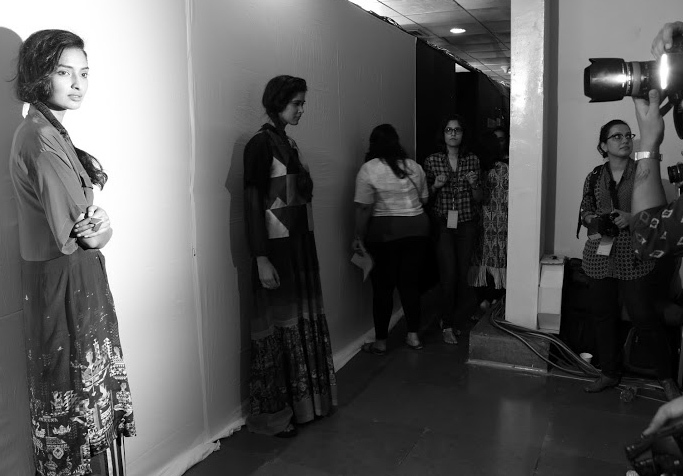 Crisp and creative lines by the Gen Next designers didn’t fail to impress. Nikhil Thampi and Payal Singhal created grand statements with sultry ethnic styles in gold, neutrals and subdued colours giving us a sharp break from OTT fashion. 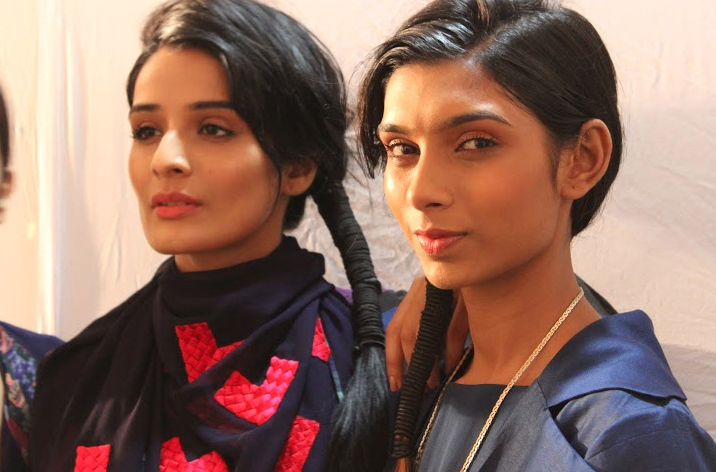 Taking rich traditional textiles and embroideries to the new season were Krishna Mehta and Soumitra Mondal offering a bevy of choices. Closing the day with an array of dapper clean-cut suits in plush velvet, Manish Malhotra launched his first ever line of menswear. 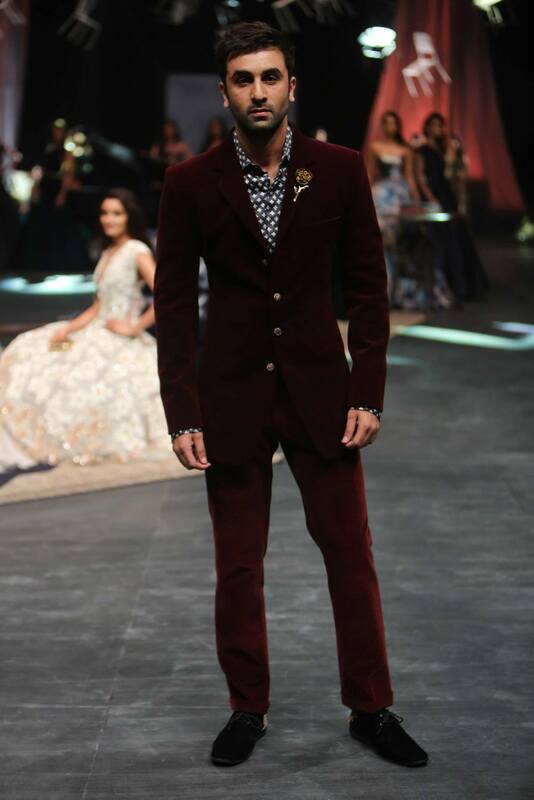 Ranbir Kapoor looked oh-so-dandy as the show stopper, setting the stage on fire. Set in a gentleman’s club, Manish Malhotra’s first ever menswear line saw sharply tailoured suits in dark colours, velvet play and dapper sherwanis with embroidered shoulders. This year the maestro celebrates his 25 years with a magnificent show full of drama and grandeur. 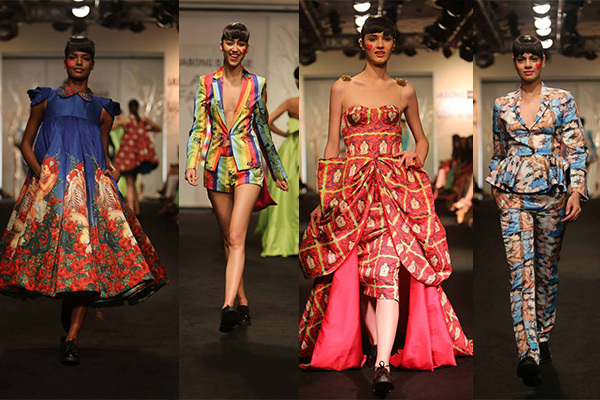 Embroidered tunics, saris, suits and lehengas awash with bright reds and oranges dominated Soumitra’s showcase. 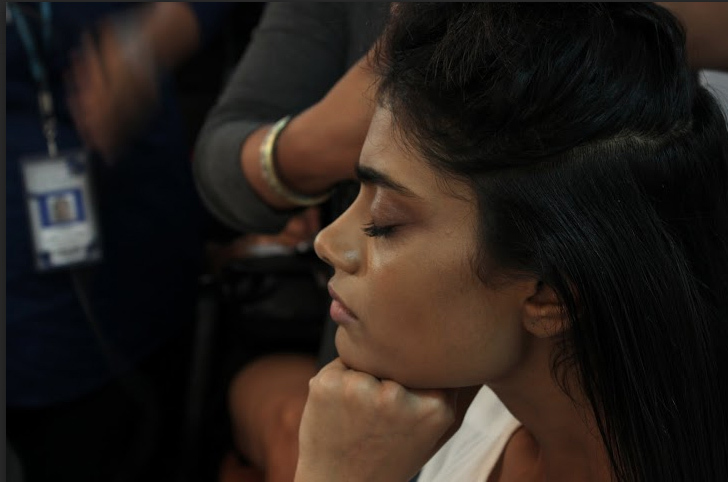 Bridal beauty in deep reds and pinks, and intricate embroidery defined Krishna Mehta’s ethnic Indian show. 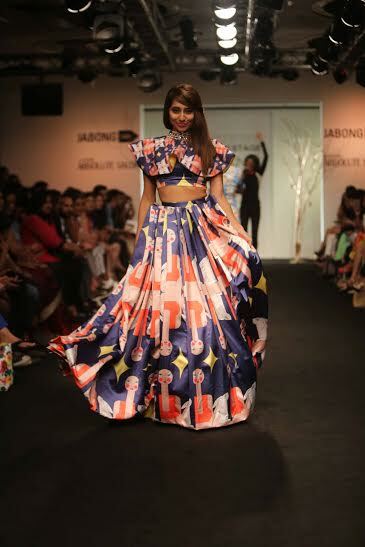 Zardozi, mukaish, pita kora and leather appliqué, along with geometric designs were spotted at Payal Singhal’s ethnic showcase. 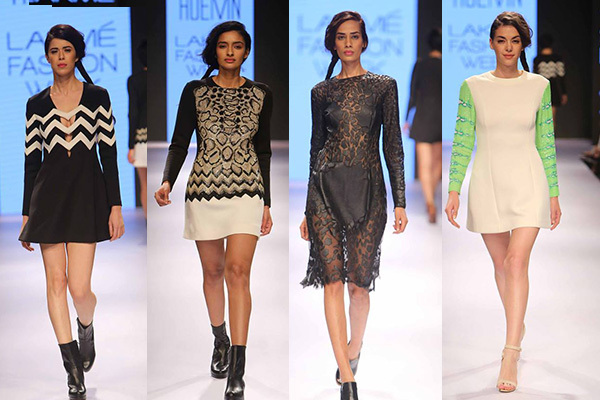 We were smitten by the beautiful golds, beiges and whites dominant in Nikhil Thampi’s sensuous line. 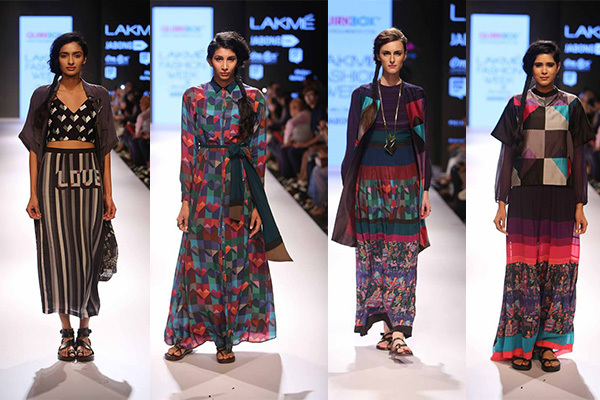 A spectrum of colours on easy separates made an impact on the Quirk Box runway. 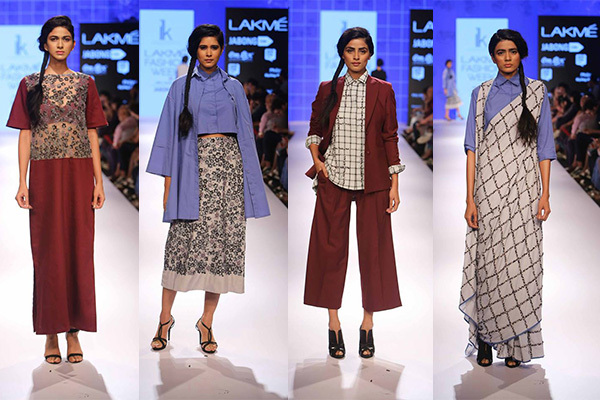 Ilk brings comfy winter style with checks, crop shirts and effortless drapes. Animal prints, sequins and leather play take Huemn’s quirk appeal to a whole new level. 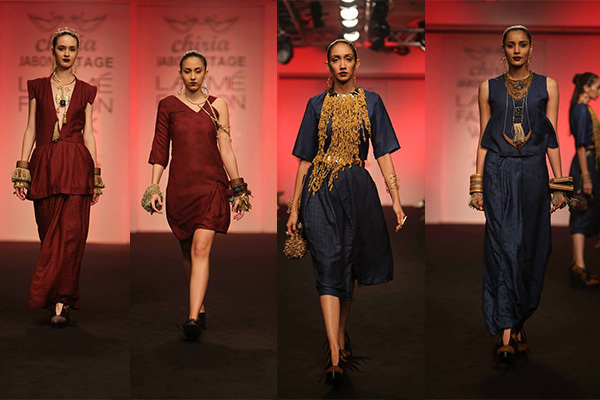 Deriving its roots from Mother Nature, Simrat Sindhu’s label Chiria’s clothes showed wisps of bohemia. 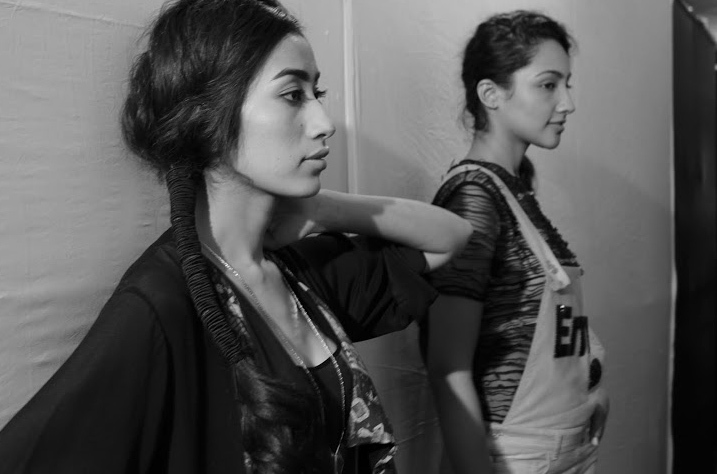 Earthy tones and hand-crafted accessories grounded the collection. 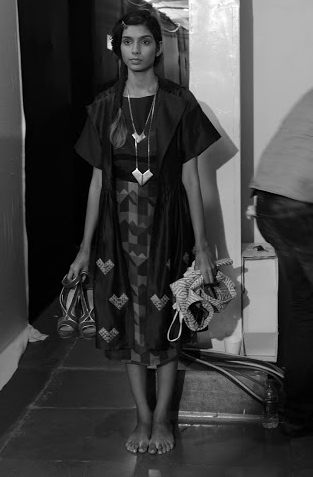 Quirky met chic at Salita Nanda’s showcase aptly titled ‘Youthquake’. Inspired by pop artist Andy Warhol’s superstar muse Edie Sedgwick, the collection embraced abstract prints blended with flowing silhouettes. 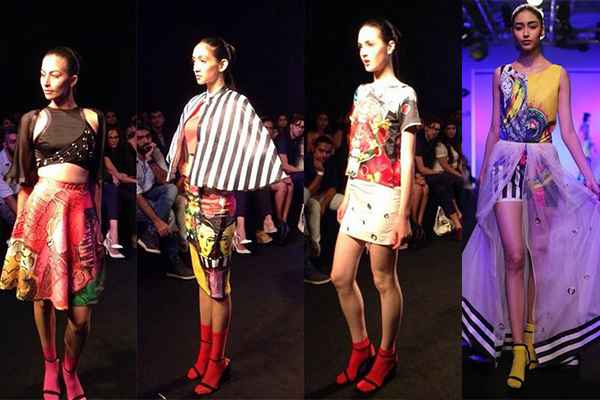 Kristy De Cunha got us grooving to oversized silhouettes and fun prints. This season’s Gen Next, which included Shivangi Sahni, Siddhartha Bansal, Charchit Bafna, Ishita Mangal, Ajay Kumar, Jebin Johny and Kriti Tula, gave us a mixed bag of desert shades, fringes and prints. 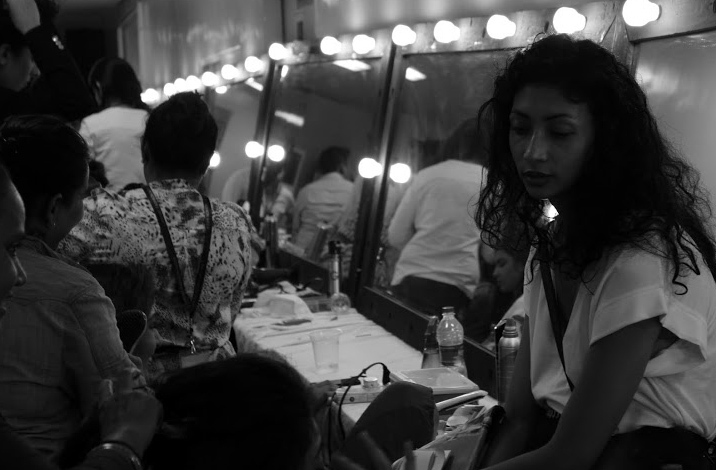 We particularly like Ajay Kumar’s tryst with kitsch and Siddhartha Bansal’s print play.